Since the birth of modern astronomy, scientists have sought to determine the full extent of the Milky Way galaxy and learn more about its structure, formation and evolution. At present, astronomers estimate that it is 100,000 to 180,000 light-years in diameter and consists of 100 to 400 billion stars – though some estimates say there could be as many as 1 trillion. And yet, even after decades of research and observations, there is still much about our galaxy astronomers do not know. For example, they are still trying to determine how massive the Milky Way is, and estimates vary widely. In a new study, a team of international scientists presents a new method for weighing the galaxy based the dynamics of the Milky Way’s satellites galaxies. In February of 2016, scientists working for the Laser Interferometer Gravitational-Wave Observatory (LIGO) made the first-ever detection of gravitational waves. Since that time, multiple detections have taken place, thanks in large to part to improvements in instruments and greater levels of collaboration between observatories. Looking ahead, its possible that missions not designed for this purpose could also “moonlight” as gravitational wave detectors. For example, the Gaia spacecraft – which is busy creating the most detailed 3D map of the Milky Way – could also be instrumental when it comes to gravitational wave research. That’s what a team of astronomers from the University of Cambridge recently claimed. According to their study, the Gaia satellite has the necessary sensitivity to study ultra-low frequency gravitational waves that are produced by supermassive black hole mergers. The study, titled “Astrometric Search Method for Individually Resolvable Gravitational Wave Sources with Gaia“, recently appeared in the Physical Review Letters. 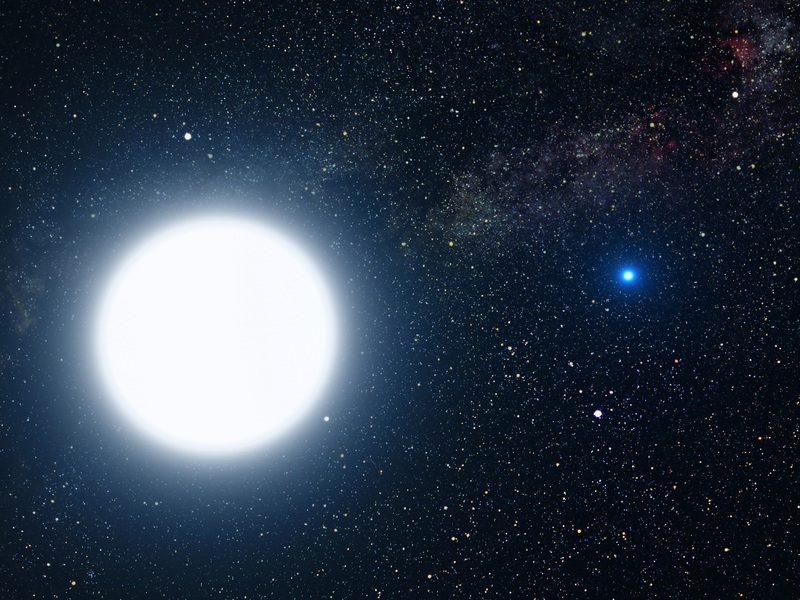 Led by Christopher J. Moore, a theoretical physicist from the Center for Mathematical Sciences at the University of Cambridge, the team included members from Cambridge’s Institute of Astronomy, Cavendish Laboratory, and Kavli Institute for Cosmology. To recap, gravitational waves (GWs) are ripples in space-time that are created by violent events, such as black hole mergers, collisions between neutron stars, and even the Big Bang. Originally predicted by Einstein’s Theory of General Relativity, observatories like LIGO and Advanced Virgo detect these waves by measuring the way space-time flexes and squeezes in response to GWs passing through Earth. However, passing GWs would also cause the Earth to oscillate in its location with respect to the stars. As a result, an orbiting space telescope (such as Gaia), would be able to pick up on this by noting a temporary shift in the position of distant stars. Launched in 2013, the Gaia observatory has spent the past few years conducting high-precision observations of the positions of stars in our Galaxy (aka. astrometry). In this respect, Gaia would look for small displacements in the massive field of stars it is monitoring to determine if gravitational waves have passed through the Earth’s neighborhood. To investigate whether or not Gaia was up to the task, Moore and his colleagues performed calculations to determine if the Gaia space telescope had the necessary sensitivity to detect ultra-low frequency GWs. To this end, Moore and his colleagues simulated gravitational waves produced by a binary supermassive black hole – i.e. two SMBHs orbiting one another. What they found was that by compressing the data sets by a factor of more than 106 (measuring 100,000 stars instead of a billion at a time), GWs could be recovered from Gaia data with an only 1% loss of sensitivity. This method would be similar to that used in Pulsar Timing Arrays, where a set of millisecond pulsars are examined to determine if gravitational waves modify the frequency of their pulses. However, in this case, stars are being monitored to see if they are oscillating with a characteristic pattern, rather than pulsing. By looking at a field of 100,000 stars at a time, researchers would be able to detect induced apparent motions (see figure above). But of course, there’s no guarantees that sifting through the Gaia data will reveal additional GW signals. For one thing, Moore and his colleagues acknowledge that waves at these ultra-low frequencies could be too weak for even Gaia to detect. In addition, researchers will have to be able to distinguish between GWs and conflicting signals that result from changes in the spacecraft’s orientation – which is no easy challenge! Still, there is hope that missions like Gaia will be able to reveal GWs that are not easily visible to ground-based interferometric detectors like LIGO and Advanced Virgo. Such detectors are subject to atmospheric effects (like refraction) which prevent them from seeing extremely low frequency waves – for instance, the primordial waves produced during the inflationary epoch of the Big Bang. In this sense, gravitational wave research is not unlike exoplanet research and many other branches of astronomy. In order to find the hidden gems, observatories may need to take to space to eliminate atmospheric interference and increase their sensitivity. It is possible then that other space telescopes will be retooled for GW research, and that next-generation GW detectors will be mounted aboard spacecraft. In the past few years, scientists have gone from making the first detection of gravitational waves to developing new and better ways to detecting them. At this rate, it won’t be long before astronomers and cosmologists are able to include gravitational waves into our cosmological models. In other words, they will be able to show what influence these waves played in the history and evolution of the Universe.